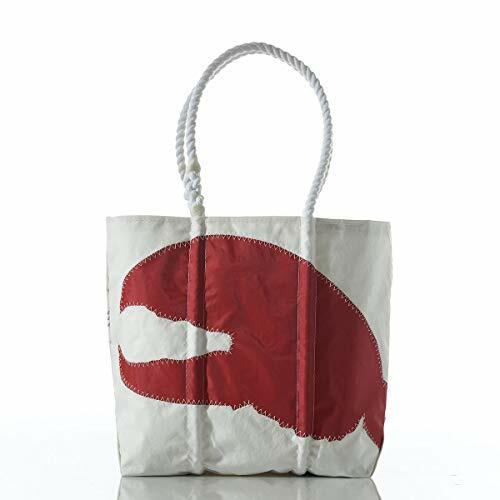 Bold and whimsical, the Sea Bags Red Claw Tote is made from recycled sail cloth and features a red lobster claw design. Hand-spliced white rope handles make for easy and comfortable carry whether you're spending the day at the beach or out running errands. Handmade in Portland, Maine, USA. Spot clean or machine wash. Available colors: Red. Available sizes: Medium, Large. Dimensions: Medium: 14" h x 14"w; Large: 14"h x 18"w.